Lea, 1866, Jour. Acad. Nat. Sci. : 27 , pl. 10, fig. 26. + Pyganodon cataracta (Say). — Strayer & Jirka (1997: 99). + Anodonta cataracta Say, 1817. — Burch (1975: 176). 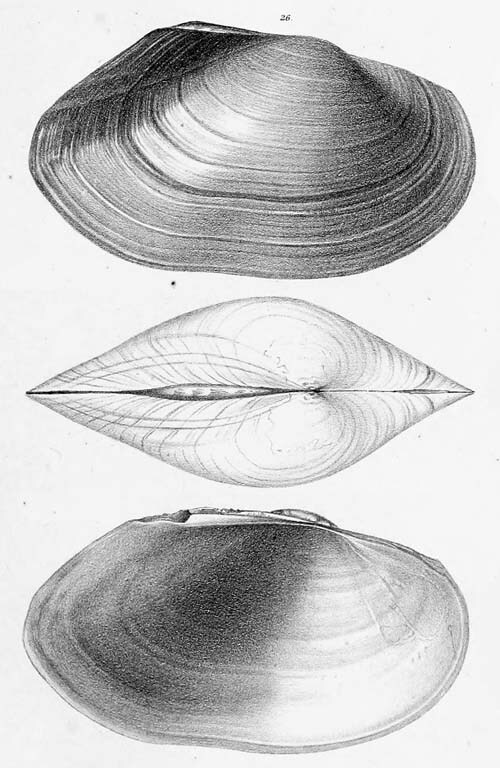 + Anodonta cataracta Say, 1816. — Simpson (1900: 632). = Margaron (Anodonta) williamsii (Lea). — Lea (1870: 81). = Anodon williamsii (Lea, 1862). — Sowerby (1870). = Anodonta williamsii Lea, 1862. — Lea (1866: 31).